Every year new technology evolves and the existing technology gets more updated with this the prospects get more tech savy bombarded with new digital technologies. This will continue to happen at a faster pace every year. The goal of Digital Marketing has been only one thing that is how to grab the right target audience attention for your business. So as to improve the worth of your brand. 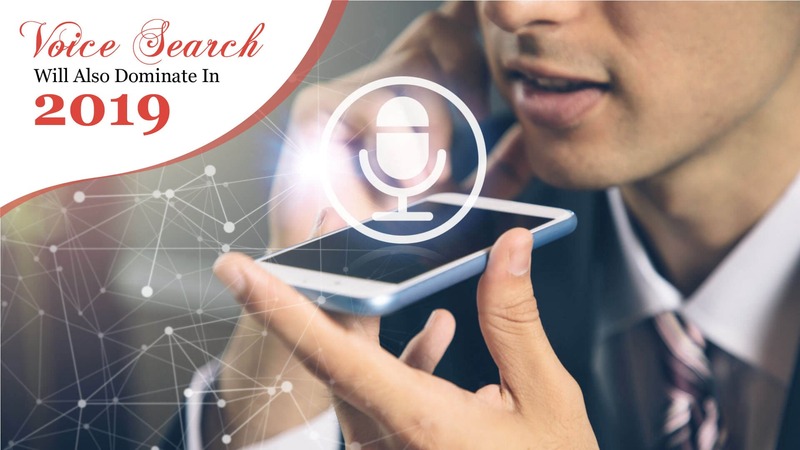 Voice Search Query: by the end of 2019 at least the 30% of the search queries will be driven by voice search. By 2020 it is estimated that more than 50% of the search query will be done through voice only. This will play a vital role in saving peoples time such as- if you are doing something urgent where you don't have time to type the voice search query will help you solving your problem more quicker. A lot of companies are already working on it this has been already seen in trending apps like Google Assistance, Siri and Bixby. To more enhance this trend it's better optimize the site according to voice search. For that you must clearly know what prospects the customers are searching for. Video Marketing Buzz: as seen in the year 2018 the video marketing saw a lot of buzz the same will be seen in the year 2019 too. In the coming year more than 90% of the content will be seen in the form of visuals and stunning graphics. Video marketing has become the most rapid form of communication because of growth in the smartphone industry and it's unique way of story telling. Videos also make the your brand communication more simpler and also enhance the companies brand value by boosting your post engagement rate by up to 80%. Videos play a key role in presenting your stories in a more compelling manner also plays an important role in getting to your point more faster. Can also boost your sales by a good margin. In the recent surveys done by the people preferred more visual data rather than the normal text post. Content Will Still Be The King In The Digital Space: In 2018 people realized the importance of content and how it effectively helped their brand communication. In 2019 too the content bucket will also play a very key role in determining the brand strategy. People will trust reputed content more instead of relying on advertisements. It is estimated that 50% of the audience will use ad blockers in 2019. AMP(Accelerated Mobile Pages) Will Be Given More Priority: In 2019 more priority will be given to the accelerated mobile pages rather than desktop version. This is because the number of search queries in the mobile devices have skyrocketed in recent years. Following the recent trend Google is giving more importance to accelerated mobile pages while indexing primarily. So making a mobile friendly page has become a major priority for all the digital marketers. Page Loading Speed: Google will continue give more experience in user friendliness which includes the page browsing speed. So page speed optimization will play key role to get SEO ranking in 2019. Google Rank Brain: In 2019 Google rank brain which is basically called as Google machine learning system will give more emphasis to providing best ever search results to users when they search long tail queries. Search Snippets: Search snippets will play an important role in boosting the ranking of the website. So they'll play an important role in the SEO too in the year 2019. A website featuring structured snippets may edge out competition from others in SEO rankings. 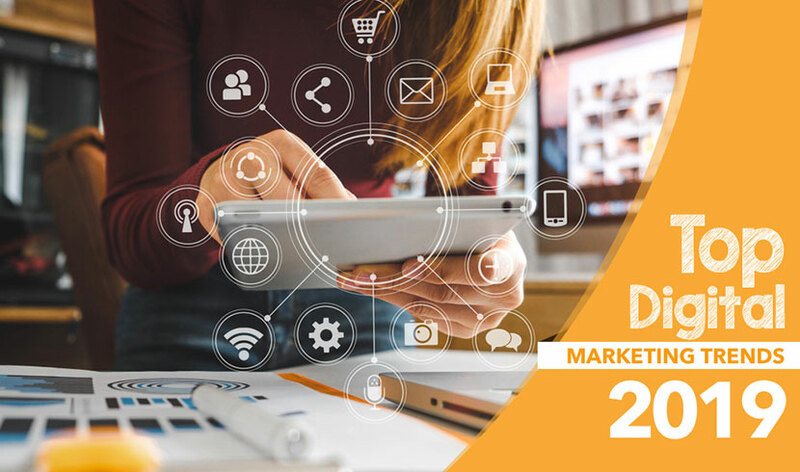 So with this we conclude that with constant technology updates there will a lot more new digital marketing trends in the year 2019 which will help in boosting their business and improving their ROI. With big data analytics being expected linked to digital marketing there will a lot more technology infusion in this field which will play a key role in spreading digitization in the entire world.